California is home to some of the country’s most beautiful and congested roads. Millions call California home and millions of others visit each year to take in the seascapes, landscapes, and tourist attractions. Each year, individual California drivers log an average of 13,636 miles, which exceeds the national average of 9,363 miles per driver. 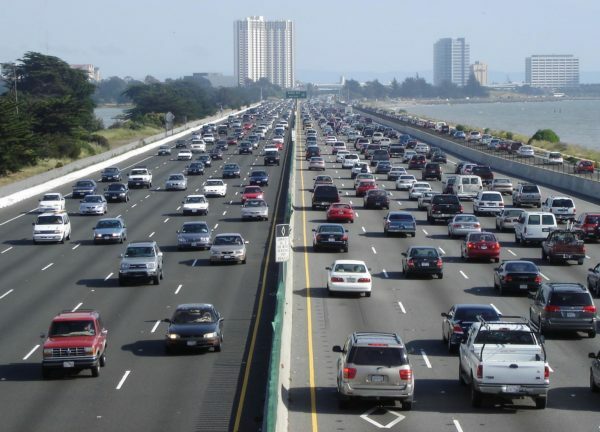 Collectively, Californians drive over 300 billion miles. These numbers do not take into account (a) tourists, (b) businesspeople, and (c) out-of-state drivers passing through. With so many cars on the road and so many miles being driven it should not be surprising that injury-causing auto accidents occur quite frequently. In 2013, the latest year for which data was available, more than 157,000 traffic accidents caused more than 223,000 injuries in California. That is 430 accidents and 610 injuries each and every day in the Golden State. Research points to a correlation between an improving economy, the number of vehicles on the road, and injury causing accidents. “We’ve seen a huge spike of car crash personal injury claims in our office” say Sherwin Arzani, an attorney that handles car accident cases in Los Angeles, CA. “As the economy continues to grow it is likely that we will continue to see hundreds of traffic accidents in California each day,” Mr. Arzani goes on to say. If you are injured in a California car accident you should contact an attorney as soon as possible to learn about your legal options. Car accidents can be expensive. According to a study by ISO, a Verisk Analytics Company, the average cost of a property damage claim was $3,231 and the average cost of a bodily injury claim was $15,443. Most Americans do not have enough money saved to cover the costs of a $500 emergency, let alone tens of thousands of dollars in medical expenses after a car accident. Many times, victims injured in car accidents rely on damages recovered through a personal injury lawsuit against the at-fault party. What kind of compensation will you be able to ask for in your personal injury lawsuit? The answer is directly related to the kinds of injuries you sustained. These injuries could be physical, emotional, psychological, or even financial. Damages are generally broken down into two categories: economic and noneconomic. Economic damages are paid to compensate you for verifiable and easily identifiable losses. These often include past and future medical costs, lost wages, projected lost future wages, and costs of property damage repair or replacement. If a loved one is killed in a car accident, families may seek to recover costs associated with the funeral and/or burial of the victim. Noneconomic damages are paid to compensate you for losses that are more difficult to assign a monetary value. These losses are often very personal and depend on more subjective details. Noneconomic damages may include emotional distress, embarrassment, pain and suffering, loss of companionship, and loss of enjoyment of life. If a loved one is killed in a car accident, families may seek to recover costs associated with their own emotional distress, loss of consortium or companionship, and grief. While you may be incredibly angry following a car accident, especially if the at-fault driver was clearly in violation of the law and could have avoided the crash, you are generally not permitted to seek punitive damages in California personal injury claims. Why Should I Hire a California Car Accident Attorney After My Accident? Communicate with you and explain the process. At Citywide Law Group, a trusted Los Angeles personal injury law firm, we do not want to add more stress to a victim’s life after an accident. We understand the financial pressure that often accompanies a car accident. To help ensure that victims are not afraid of seeking legal representation we offer our services on a contingency fee basis. This means that we do not get paid until we recover compensation for you. If you have been injured in a California car accident, contact our office today for a free, no-commitment consultation.